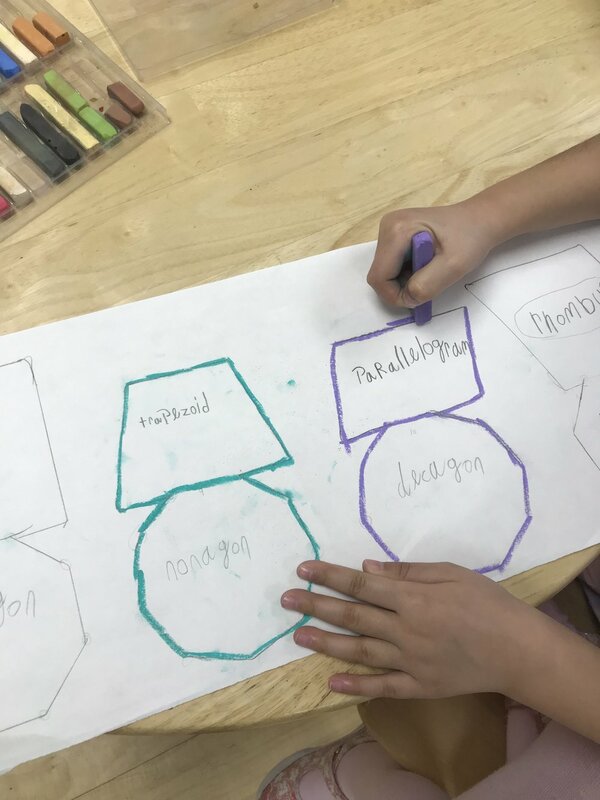 Using the Quadrilateral and Polygons drawers, a first year Lower Elementary West student got creative and drew a series of lamps and lamp shades. Some students were introduced to fractions. A first year student showed a “whole” broken down into 20 pieces. 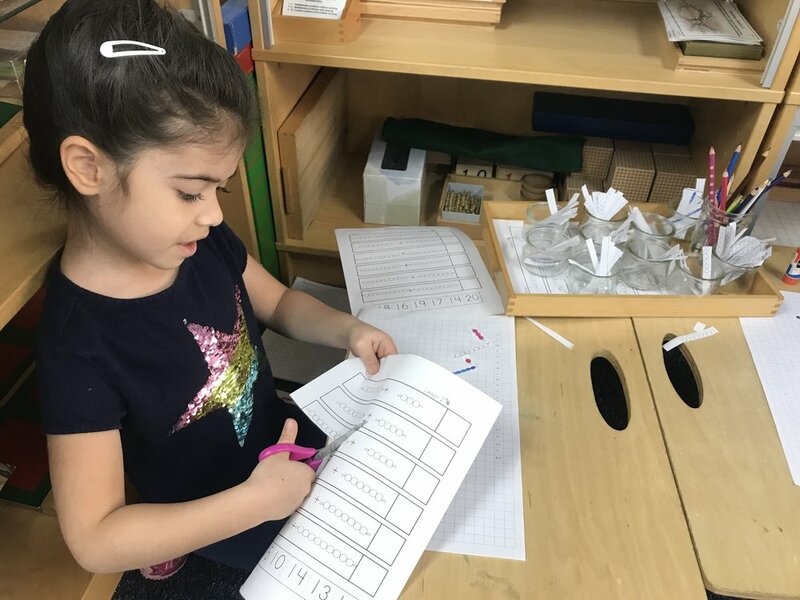 The Snake Game has become popular in the Lower Elementary West classroom as students continue to work with it using an alternative follow up. The new work includes coloring and pasting paper representations of the beads. Lower Elementary West’s word of the week: Provisions! As part of his Botany curriculum, a second year Lower Elementary West student worked on his follow up to the Parts of a Flower lesson.